Are you interested in learning about a specific type of loan? You’ve come to the right place. 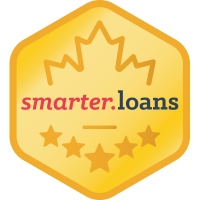 This page is the ultimate source for the most common loans offered in Canada. Here you can find both personal and commercial loans. Whether you’re looking to learn more about secured versus unsecured personal loans or you’re looking for financing to purchase equipment for your business, we have you covered. We’ve broken down this page into two sections to make it more digestible. The first section is on personal loans, while the second section is on business loans. Once you’ve found the loan you’re looking for, read up to learn more and either explore the top loan companies in Canada or pre-apply right from this page. It doesn’t get any easier than that! Learn about personal types of loans, including auto loans, mortgages and home equity loans. A personal secured loan is a loan that’s backed up by an asset. Lenders usually want you to back up a personal secured loan with a home; however, some lenders will let you use other assets as collateral, such as a car. When a loan is secured, this gives the lender greater assurance that you’ll pay back the loan, therefore, it almost always comes with a lower interest rate than an unsecured loan and may let you qualify for a higher loan amount. Popular uses for a personal secured loan include consolidating debt and emergency expenses. – The lower interest rate will help you save money and pay off the loan sooner. – Secured loans are flexible. You can usually use the funds as you see fit. – Securing a loan can help improve your chances for an approval if your credit is damaged. – Although securing a loan helps lower your interest rate, if you fail to pay it back, you could lose the asset backing it. – There may be costs involved in getting your asset valued, including appraisal and legal costs. A personal unsecured loan is a personal loan that doesn’t have an asset backing it as collateral. In fact, sometimes the lender won’t even do a credit check. Because of the riskier nature of personal unsecured loans, the interest rate tends to be higher and it tends to be for smaller amounts, often in the $100 to $500 range. Since these loans tend to be for smaller amounts, the application process isn’t usually too strenuous. Likewise, many more lenders tend to offer unsecured versus secured personal loans. This loan is ideal for short-term small emergency expenses, such as a car repair or roof repair. – The approval process is quick and easy. Some lenders may be able to approve you in mere hours. – Ideal for short-term unexpected expenses that come up that you’ll be able to pay off sooner rather than later. – It won’t be hard to find a lender that offers unsecured loans since many lenders off this type of loan. – The interest rate is almost always higher than personal secured loan, since there isn’t an asset backing it. – Some lenders may request a credit check. If your credit is damaged, you may have to pay a higher interest rate. An auto loan is a personal loan with a specific purpose – to help you buy a car. When you sign up for an auto loan, you agree to pay it back in full in monthly payments, compromising of principal and interest. An auto loan may cover the vehicle purchase, as well as any fees or add-ons you get. Depending on the loan, your interest rate may be fixed or variable. Also, depending on your credit history, your income and down payment, you may qualify for a lender’s lowest interest rate. Auto loans typically last for two to eight years. The longer the loan, the more affordable the monthly payments will be. Auto loans make the most sense when you’re buying a new vehicle you plan to own for the long-term. 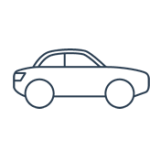 – If you like to drive long distances, you’re usually better off with a car loan instead of a car lease, since car leases usually come with penalties if you drive over a certain limit. – If you plan to own your vehicle long-term and drive it into the ground, an auto loan can make sense. Once you pay it off the vehicle, it’s yours. You won’t need to make monthly payments anymore. – By paying your auto loan on time and in full, it can go a long way to building a positive credit score. – By stretching your loan to eight years, you can end up paying a lot of interest and find yourself with negative car equity, when you still owe money on a car that no longer works. – You may forgo cash incentives by taking out an auto loan instead of buying it in cash. – If you prefer driving a new vehicle, you might be better off leasing your vehicle. – Lease payments tend to be more affordable than auto loan payments since you’re only paying for the depreciation of the vehicle. A car title loan is as the name suggest, it’s a loan taken out against your car. This loan is typically pretty straightforward to get. The lender might not even need to pull your credit history. In fact, you may be able to get the loan in as little as a day or two. 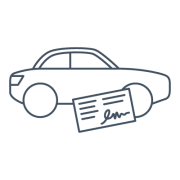 You’ll need to provide information on your vehicle, including its make, model, year, the mileage and proof of auto insurance. You can usually get a loan for up to 75 percent of the vehicle’s value; however, there can’t be any existing liens against it. Car title loans are ideal when you need money fast in an unexpected financial emergency. – The approval process is fast and easy. – There’s no down payment or credit check needed. – Since your vehicle is acting as security, you can expect a lower interest rate. – You could lose your vehicle if you fail to repay the loan according to its terms. – These loans aren’t meant for short-term financial emergencies. If you’re looking for a long-term financial solution, you’d be better served by choosing another loan type. An instalment loan is a personal loan for a fixed amount that you’re required to pay back in regular payments compromising of principal and interest. 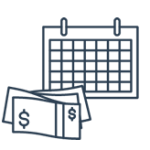 The repayment schedule varies, although typically you’re required to pay it back on a weekly, biweekly or monthly basis. Although car loans and personal loans are considered instalment loans, the term usually refers to a short-term loan similar to a payday loan. Instalment loans tend to be for a larger amount than payday loans. They also tend to be for a longer period of time. Instalment loans usually come with high fees like payday loans. That’s because many borrowers are higher risk due to their damaged credit score. Instalment loans are commonly used for costly emergency expenses, such as car repairs and medical expenses. – The application process is pretty straightforward and easy. You can typically get approved in very a short timeframe. – Some lenders even offer guaranteed approval. Your credit score won’t need to be pulled. – You may be able to get an instalment loan, even if you have damaged credit. – Instalment loans tend to come with higher interest rates and additional fees. These fees and interest can quickly add up and cost you a bundle. – Be careful of lenders who charge an upfront fee. This may be a scam. A mortgage is a large loan specifically for buying property. The property acts as collateral for the loan. A mortgage comes with a both a term and amortization. A mortgage term is the length of time you have your mortgage with a specific lender, whereas the amortization period is the length of time it takes for you to pay off your mortgage in full. The most popular mortgage term in Canada is 5 years, although you can get a mortgage term for as short as 1 year or as long as 10 years. Meanwhile, amortization periods tend to be 25 or 30 years. There are many different mortgages to choose from: fixed vs. variable, closed vs. open and 1-year vs. 5-year. Mortgages are most popular for buying real estate. This can include a principal residence, rental properties and investment properties. Mortgages can also be used for other purposes, such as a purchasing vehicle. – Since a mortgage is secured by property, it tends to come with the lowest interest rate of any loan type. – By paying off your mortgage over time, you can end up owning a valuable asset, your home, free and clear one day. – Most mortgages come with prepayments. If you take advantage of those and make extra payments, you could be mortgage free a lot sooner. – If you fail to repay the mortgage according to its terms, not only can you damage your credit score, the lender could foreclose on your property, leaving you with little to no equity. – If you break your mortgage for whatever reason, you could being required to pay quite a hefty mortgage penalty. A home equity loan is a loan against the equity in your home. You get a one-time lump sum payment, which must be paid back over a fixed term with equal monthly payments. The more equity you have in your home, the higher the amount you can borrow. Currently, you can borrow up to 65% of your home’s appraised value (although your mortgage and home equity loan combined can’t exceed 80%). Home equity loans are ideal for both short-term and long-term financing. Popular uses of home equity loans include home renovations, debt consolidation, an emergency fund and to buy an investment property. 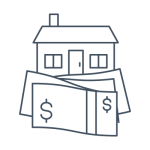 – A home equity loan can be a great way to consolidate high-interest debt and save on interest and pay off your debt sooner. – Since a home equity loan is secured by the equity in your home, it tends to come with a low interest rate. 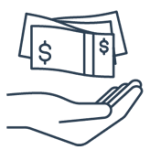 – You can access the funds whenever you need to. 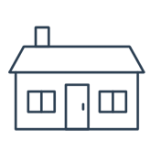 – If you’re unable to repay the loan, you run the risk of your lender foreclosing on your property. – Since the funds are easy to access, it can be tempting to abuse your home equity loan. You could find yourself with a lot more debt than you started. – The flexible repayment terms mean you could make interest-only payments and never pay it off. A debt consolidation loan is when you get a new larger loan to pay off several smaller loans you’re currently making payment on. (This is referred to as debt consolidation.) When you take out a debt consolidation loan, you only have one monthly payment to worry about instead of several. While on the surface a debt consolidation loan may seem simple, you can’t just merge several loans into one. Each loan has its own repayment terms and interest rate. In order to consolidate your debt, the funds from the new larger loan must be used to pay off the smaller debt. Debt consolidation is popular for combining smaller unsecured debt, such as credit card, personal loans and payday loans. – A consolidation loan simplifies the process. Instead of having several loans to keep track of, you only have one to make payment on. – You’ll usually save on interest. That’s because a consolidation loan is typically at a lower overall interest rate than the rest of your debt. – If you have an issue with debt, a consolidation loan won’t solve it. Unless you make a repayment plan, it could even make your debt situation worse. – The lower interest rate could encourage you to take on more debt, the last thing you want to be doing. A payday loan is a short-term loan with high fees. Because of that, it tends to be an expensive way to borrow money. With a payday loan you can borrow up to $1,500, although you’ll usually be required to pay it back by your next paycheque. Failure to do so can result in hefty fees and interest charges, adding to your debt load. The process of getting a payday loan is pretty straightforward. Lenders usually ask for proof of income, preauthorized cheque and a permanent address. Payday loans are meant to cover short-term financial emergencies, such as your car breaking down, although they’re quite costly. – Payday loans are easy to apply for and a quick way to get the money you need now. Instead of it taking days with a bank, you can have the money you need within hours. – Payday loans are easy to qualify for. As long as you have a stable income source, you’ll most likely qualify for. – Payday loans tend to come with the highest interest rate out of any loan type. As such, use them with caution. – You’re probably better off using your credit card or better yet a home equity loan. The interest rates are a lot lower than payday loans. – It’s easy to get into the vicious cycle of relying on payday loans to pay for everyday expenses like rent, groceries and utilities. Learn about commercial types of loans, including business loans, fleet financing and invoice factoring. A business loan is when you borrow a fixed amount for business purposes. The repayment terms typically consist of you paying back the lender in instalments. In order to qualify for a business loan, you’ll need a legit business reason, such as starting a business or expanding. Business loans tend to carry more risk than personal loans to the lender. As such, most lenders require collateral. If your business is a startup and it has little to no assets, the lender may ask you to use personal assets like your home and car to secure the loan. This provides the lender with added security should your business run into financial trouble and you have difficulty repaying the loan. A business loans has similar terms to a personal loan. There’s the loan amount, the term (the length of time the loan is for), the interest rate, the repayment terms and the fees (if applicable). For business purposes, such as starting a business, expansion or fulfilling purchase orders. – A business loan helps build your company’s financial credibility. By using a business loan responsibly, it can help you obtain financing later on at a better interest rate. 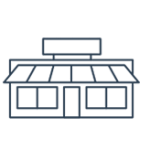 – Interest, fees and penalties related to a business loan are all tax deductible. – You can typically borrow more by way of a business loan as opposed to a personal loan. – Some lenders might require that your business is incorporated to take out a business loan. – Business loans tend to take longer to be approved than personal loans. – You’ll need to have a solid business plan if you’re a startup looking for a business loan. A truck loan is as its name suggests – a loan for buying trucks. Whether you run a delivery business and you’re looking to expand your fleet or you’re just starting your business, a truck loan can help. Instead of saving up the money you need to buy a truck, a truck loan will provide the financing that you need to go out and buy trucks today. The truck loan amount that you’ll need will largely depend on the industry that you’re in and the type of truck you’re looking to buy. 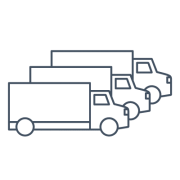 Buying trucks for your fleet or purchasing vehicles for a new business. 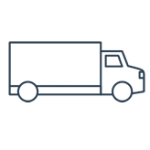 – Truck loans can help you get the financing that you need to further expand the truck fleet of your business. – You’re able to drive off in the truck that you need today instead of waiting months or years to save up the funds yourself. – Truck loan applications are more involved and usually take longer to get approved than car loan applications. – Banks may not be willing to lend money for truck loans, so you may end up paying a higher interest rate. Bus financing is a lot like truck loans. Buses are expensive. Whether you run a tour bus business or a transportation business, coming up with the cash to afford these massive vehicles can be challenging to say the least. That’s where bus financing comes in handy. Whether you’re looking to buy a new or used bus or coach, bus financing can help you come up with the funds you need to buy the ideal bus for your business. Buying new or used buses or coaches. – Buy the bus you need for your business today instead of waiting until you’ve saved up enough. 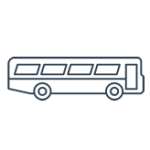 – Bus financing can help with the purchase of new and used buses. If you see a used bus that you like, bus financing can help you drive away in it sooner rather than later. – Expect the interest rate to be higher on bus financing compared to car financing since there are fewer lenders that offer this type of financing. – The financial approval process can take weeks since there’s more involved in the process. 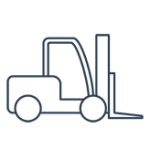 Equipment financing is financing to help a business purchase the equipment that it needs. Whether your business is just starting up or in expansion mode, in the health care or hospitality industry, equipment financing can help. Buying equipment is expensive for any business. If your business is growing, you may be better off reinvesting your money and taking out a loan to buy any equipment your business needs. That’s where equipment financing helps. Popular uses include buying equipment for a business starting up and expanding. – You can purchase the equipment your business needs to grow and expand instead of waiting until you’ve saved up enough money. – Depending on the industry you’re in and the type of equipment you’re buying, you may be able to negotiate better terms on your loan. – There are fewer lenders in this space, so you may end up paying a higher interest rate for this type of financing. – You may need to pledge personal assets if the equipment you’re buying isn’t easily resalable. Agriculture and farming loans are as its name suggests – business loans specifically for agricultural and farming purposes. If you’re starting a farm, equipment or you’re looking to expand it, it can be tough to come up with the financing you need. Luckily, there are loans specifically designed for this purpose. Agriculture and farms loans are there to meet the financial needs of today’s busy farmers. This loan is commonly used for establishing, improving and developing farms. 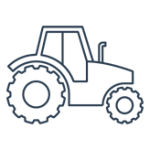 – You can get the financing you need, whether you’re looking to buy equipment for your farm or expand it. – You may be able to lock-in your loan at a lower interest rate. – The interest rates tend to be higher since the lender is usually taking more risk. – If you’re looking to secure financing for over 10 acres of land, lenders might only consider your loan application if you’re willing to make a heftier down payment and pledge personal assets as security. Does your business require a fleet of vehicles? Whether your business involves driving big rigs or it’s a limo service, fleet financing can help. Fleet financing is a business loan specifically for financing the expansion of your fleet of vehicles. Coming up with enough money to buy a fleet of vehicles can be tough. That’s where fleet financing comes in handy. You get the money upfront to buy the fleet of vehicles that you need. It’s that simple. Financing the expansion of your business’s fleet of vehicles. – Financing specifically made for the purchase of vehicles for commercial purposes. – You can buy the vehicles you need now and can grow your business. – Sometimes there can be unexpectedly long wait times to get your fleet financing approved. – Fleet financing may come with a higher interest rate than other loans since there are fewer lenders that offer it. Invoice factoring is a specific type of short-term business financing. It’s when you sell outstanding invoices to a factoring company in exchange for immediate cash. It’s the equivalent of an advance on your company’s sale revenue that’s coming in 2-3 months later. Invoice factoring has been used by businesses for centuries. In some industries invoice factoring is more common than others. 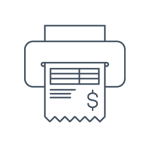 For example, in the staffing agency industry, staffing agencies regularly use invoice factoring to help better manage cash flow and operate the business. The most popular use is for financing short term business needs like purchase orders. – Get access to the funds you need to boost your company’s operating capital now. – It usually involves filling out a lot less paperwork than a business loan. – Factoring companies will usually charge you a 1%-4.5% per month for invoice factoring. – If you’re looking for long-term financing, invoice factoring isn’t your best bet. Aviation financing is as the name sounds. It’s financing to buy airplanes. Whether you’re looking for financing to buy an airplane to fly as a hobby or you’re looking for financing to buy airplanes to run an airline, aviation financing can help. It shouldn’t come as any surprise that airplanes aren’t cheap. Unless you’re Warren Buffett, it’s not likely you can afford to buy an airplane in cash. Fortunately, you can obtain the financing you need to fly off in the airplane of want today. – Get the financing you need to buy an airplane and start earning money. – Aviation financing can be used to buy airplanes of all different shapes and sizes. 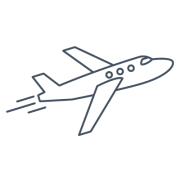 – Since an airplane costs a lot, getting approved for aviation financing can be a time consuming process. – You may be required to pledge personal assets as security in order to obtain financing.